Make your own foundation? Yes, you can, with no more than four ingredients. Begin with one teaspoon of arrowroot powder for a darker complexion or one tablespoon for a lighter one. The final shade comes from cocoa powder, cinnamon or nutmeg. Use one, two or all three, adding slowly until you achieve the look you want. Keep your hands soft and clean without the lingering film of commercial hand soaps. Start with some liquid Castile soap, which can be found in nearly any store with a health and beauty aids section. It's available unscented or in scents like almond and peppermint. Add one tablespoon or so to a pump dispenser and fill with distilled or filtered water, shaking gently to mix. The soap also works well in a foaming dispenser. Get the quality of Burt's Bees at a fraction of the cost. Melt three tablespoons each of beeswax and cocoa butter, 1/4 cup of sunflower oil, eight drops of Vitamin E oil and a pea-sized drop of lanolin in the microwave or on the stove. Add your choice of essential oils, such as peppermint or rosemary, and test by allowing a tiny bit to cool and applying it to your lips. Use an eyedropper to add the mixture to empty lip balm tubes. Enjoy a spa treatment at your Springs Apartments home! Just chop up a large cucumber and blend it with two tablespoons unrefined coconut oil and 1/4 cup aloe vera gel until smooth. Pour the mixture into an ice cube tray and place in the freezer, reserving a bit in the refrigerator if you want to use it right away. Apply around your eyes and leave on for 10 to 15 minutes to reduce puffiness and relax the area. This luxurious mixture smells as good as it feels. Whip one cup of unrefined organic coconut oil until fluffy, then add 1/2 cup jojoba oil and one to two tablespoons of melted beeswax, blending until smooth. Add a few drops of your favorite essential oil if desired. Place the mixture in a container and store in a cool, dry place. 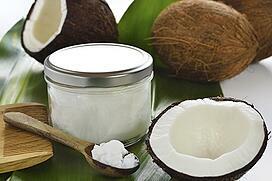 Using DIY health and beauty products is a great way to enhance a green lifestyle. It cuts down on the use of chemicals and wasteful packaging. Do you have a recipe to add to this collection? Share it in the comments!